Roaccutane capsules contain the active ingredient isotretinoin, which is a vitamin A derivative prescribed for severe acne. Isotretinoin is also available without a brand name, ie as the generic medicine. What is Roaccutane used for? Isotretinoin can have serious side effects and its use must be supervised by a dermatologist. It is reserved for the treatment of severe acne (such as nodular or conglobate acne or acne at risk of permanent scarring) that has not improved with standard treatment involving oral antibiotics and topical medicines. Roaccutane capsules contain the active ingredient isotretinoin. Isotretinoin belongs to a group of medicines known as retinoids, which are derivatives of vitamin A. Isotretinoin taken by mouth works by reducing the production of the skin's natural oil (sebum). Acne occurs due to an excessive production of sebum from over-active sebaceous glands in the skin. The sebum blocks the sebaceous glands, which prevents the oil from flowing freely out and causes an accumulation of sebum under the skin. The bacteria associated with acne thrive in these conditions. They feed on the sebum, and produce waste products and fatty acids that irritate the sebaceous glands, making them inflamed and causing spots. Isotretinoin decreases the size and activity of the sebaceous glands in the skin, which reduces the amount of sebum that is produced. This stops the glands becoming blocked, and means bacteria are less likely to thrive. It also reduces the inflammation in the skin. Your acne may get worse when you first start taking isotretinoin, but this usually improves within 7 to 10 days of continued treatment. In most cases, complete or near-complete clearing of acne is achieved with a 12 to 16 week course of treatment, and you are likely to remain free of acne for a long time. Repeat courses are not normally recommended, unless a definite relapse is seen after treatment is stopped. Repeat courses should not be started until at least eight weeks after stopping treatment, as your acne may still improve in this time. How do I take Roaccutane? The dose of this medicine prescribed and how often to take it varies from person to person. Follow the instructions given by your doctor. These will be printed on the dispensing label that your pharmacist has put on the medicine. Isotretinoin capsules are usually taken once or twice a day. They should be swallowed whole with a drink, either with or after food (on a full stomach). If you forget to take a dose take it as soon as you remember, unless it is nearly time for your next dose. In this case just leave out the missed dose and take your next dose as usual when it is due. Do not take a double dose to make up for a missed dose. What other monitoring do I need while taking isotretinoin? You will need to have a blood test to monitor your liver function before you start treatment with this medicine, one month after starting and then at further three-monthly intervals. The amount of lipids (fats such as cholesterol and triglycerides) in your blood should also be monitored before treatment, one month after starting treatment and at three-monthly intervals. If your blood level of triglycerides becomes too high, your isotretinoin dose may need to be reduced and you may have to go on a low fat diet. If your triglycerides cannot be controlled, you may have to stop treatment with isotretinoin. This medicine may increase your blood sugar level. People with diabetes may need to monitor their blood sugar more frequently during treatment with this medicine. Ask your doctor for advice. Who should not take Roaccutane? Woman who could get pregnant, unless all the criteria described in the above are met. Acne that has developed before reaching puberty (prepubertal acne). People with high levels of fats (lipids) such as cholesterol and triglycerides in their blood (hyperlipidaemia). A condition resulting from the excessive consumption of vitamin A (hypervitaminosis A). People with a peanut or soya allergy (Roaccutane capsules contain soya oil). Rare hereditary problems of fructose intolerance (Roaccutane capsules contain sorbitol). Can I take isotretinoin while pregnant or breastfeeding? Isotretinoin MUST NOT be used during pregnancy as it causes major birth defects and serious malformations of the developing baby. Women who could get pregnant will only be prescribed this medicine if all the conditions of the Pregnancy Prevention Programme listed above are met. At least one and preferably two effective methods of contraception must be used to prevent pregnancy for at least one month before starting treatment, during treatment and for at least one month after finishing treatment. If you think you could be pregnant at any point during treatment or in the month after stopping treatment you must consult your doctor immediately. This medicine must not be used by breastfeeding mothers, as it passes into breast milk and could have adverse effects on the nursing infant. Seek medical advice from your doctor. What are the possible side effects of Roaccutane? Dry skin (causing inflammation, peeling, itching, increased skin fragility - see important information above). Dry, inflamed and cracked lips. Dry eyes (causing eye irritation, conjunctivitis or inflammation of the eyelids - see important information above). Pain in the muscles and joints, particularly in adolescents. You should avoid vigorous physical activity while taking this medicine. Changes in the numbers of blood cells called platelets in the blood. Increased level of fats called triglycerides in the blood. Dryness of the lining of the nose (causing nasal inflammation and nosebleeds). Decreased numbers of white blood cells in the blood. Increased levels of sugar and cholesterol in the blood. Presence of blood or protein in the urine. Depression (see important information above). Abnormal reaction of the skin to light, usually a rash (photosensitivity - see important information above). Increased pigmentation in the skin. 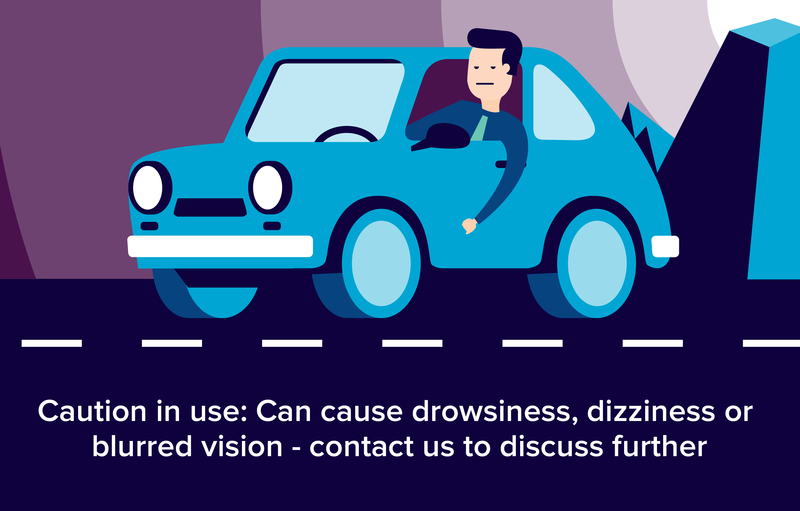 Visual disturbances (eg blurred vision, cataracts, colour blindness, decreased night vision, dislike of light). See important information above. Inflammation of the surface of the eye (keratitis). Psychotic disorders, eg with delusions or hallucinations. Suicidal feelings or thoughts, or attempts at suicide. Raised pressure inside the skull, called benign intracranial hypertension (stop taking this medicine and consult your doctor immediately if you experience a severe headache, together with nausea, vomiting and visual disturbances while taking this medicine). Breathing difficulties due to a narrowing of the airways (bronchospasm, particularly in people with asthma). Inflammatory bowel disease (stop taking this medicine and consult your doctor straight away if you get severe diarrhoea, particularly if it contains blood, while taking this medicine). Bone disorders such as arthritis, increased growth of bone, reduced bone density, or calcification of tendons or ligaments. Can I take isotretinoin with other medicines? If isotretinoin is used in combination with tetracycline-type antibiotics, eg minocycline, doxycycline, tetracycline, this may increase the pressure within the skull, leading to adverse effects. For this reason, tetracycline-type antibiotics must not be taken in combination with isotretinoin. Combined treatment with isotretinoin and vitamin A may result in a condition similar to vitamin A overdose, which may cause changes in the structure of the bone. You should not take vitamin A supplements (including multivitamins containing vitamin A) while you are taking this medicine. Other treatments conventionally used for acne, including antibiotics, exfoliants, medicines which loosen the dead skin on the skin surface (keratolytics), or radiation therapy with ultraviolet light, should be avoided while taking isotretinoin. However, non-irritant preparations can be applied to the skin if necessary and it is fine to use moisturisers. Please Note: We have made every effort to ensure that the content of this information sheet is correct at time of publish, but remember that information about drugs may change. This sheet does not list all the uses and side-effects associated with this drug. For full details please see the drug information leaflet which comes with your medicine. Your doctor will assess your medical circumstances and draw your attention to any information or side-effects which may be relevant in your particular.